Condominium associations have a lot on their plates these days: overseeing multi-unit communities, retrieving late dues, organizing board meetings, managing a multi-year budget, and being responsible for renovations & upkeep. Amidst all of these tasks, the most important one often falls to the wayside: protecting the association and its constituents from fraud. 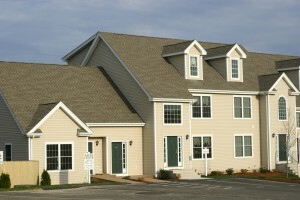 Condominium fraud is becoming more prevalent, even in New England, due in part to the lack of financial oversight that is common in many associations. Without the proper checks & balances, the opportunities for embezzlement & fraud increase dramatically. Thankfully, there are plenty of options for associations of all sizes to mitigate this risk. Break up board responsibilities. Delegating all of the banking power to one individual reduces the chance that they could be held accountable for fiscal misconduct. Assign check writing power to one member of your board and send bank statements to another. Require checks above $X amount be signed by two trustees. Schedule annual audits with an independent auditor. By having an external set of eyes on the books, potential conspirators are less likely to be tempted. Review financial statements monthly at board meetings. Make sure any anomalies are recorded in the meeting minutes and investigated thoroughly by at least two board members. Purchase fidelity insurance that specifically covers trustees, property managers, and any one else with significant access to the associations finances. Maintain and verify a reserve fund for shortfalls in the operating budget due to fraud or other emergencies.